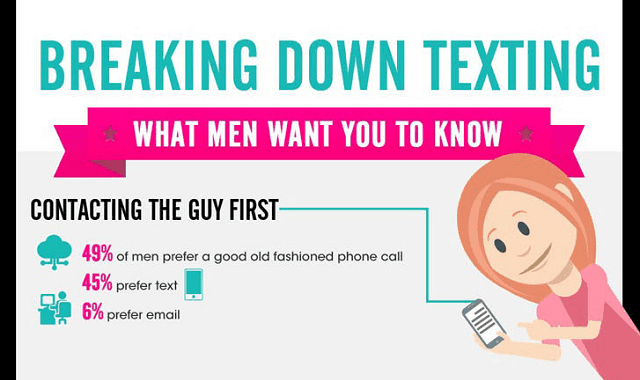 Breaking Down Texting What Men Want you to Know #infographic ~ Visualistan '+g+"
Ever get confused about why a guy isn’t texting you back? Ever freak out and wish that he would just respond to your texts? Basically, have you ever wished that texting guys was just simpler? Guys gave their completely honest and 100% uncensored opinions about what really bothers them about texting with a woman… and what they wish women did more of. You can scroll through this infographic and find out for real exactly what men wish you would do.